…. miniature portrait, massive appeal. Thomas Hazlehurst (c. 1740 – 1821). 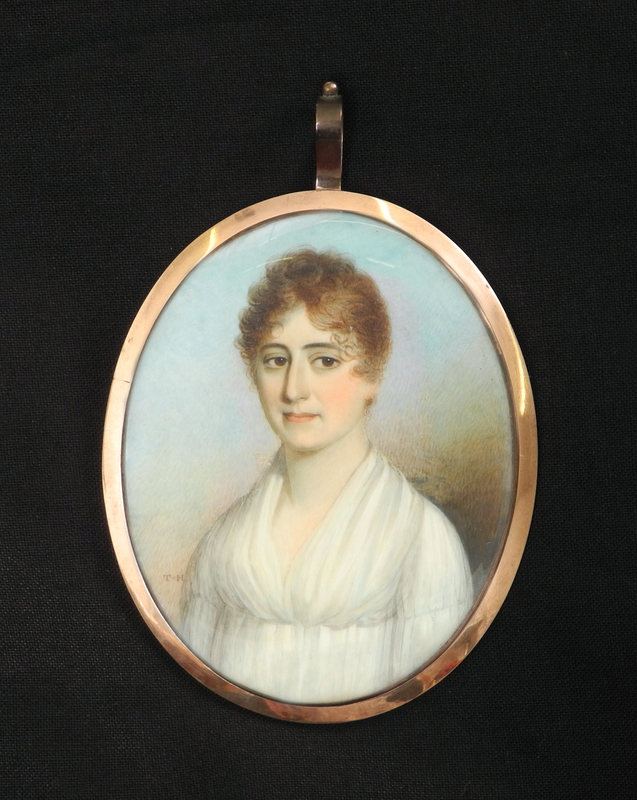 A stunning early 19th century half length portrait of a beautiful lady. Housed in a gilt metal ‘mourning’ locket with a fine braided hair cartouche and initials to the reverse. Measures 8.2cm top to bottom.